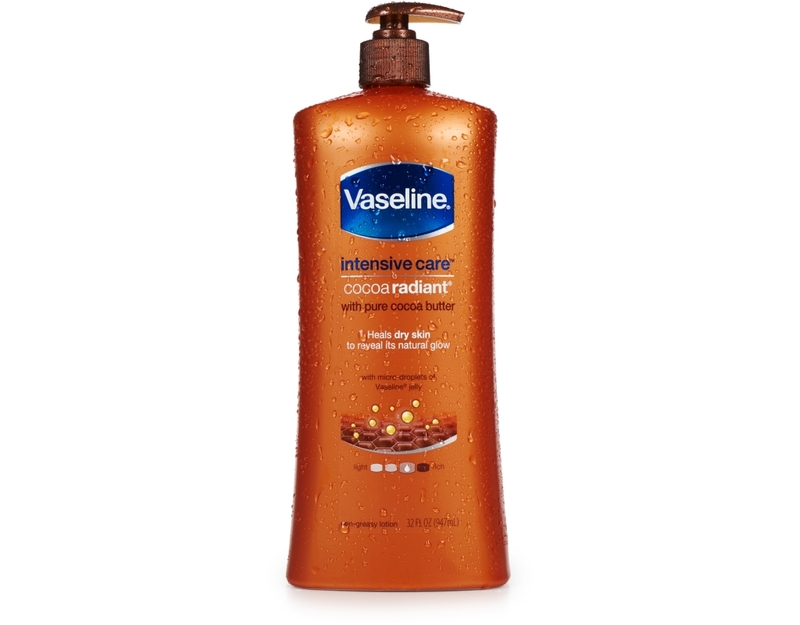 Healthy skin starts with deep healing moisture. 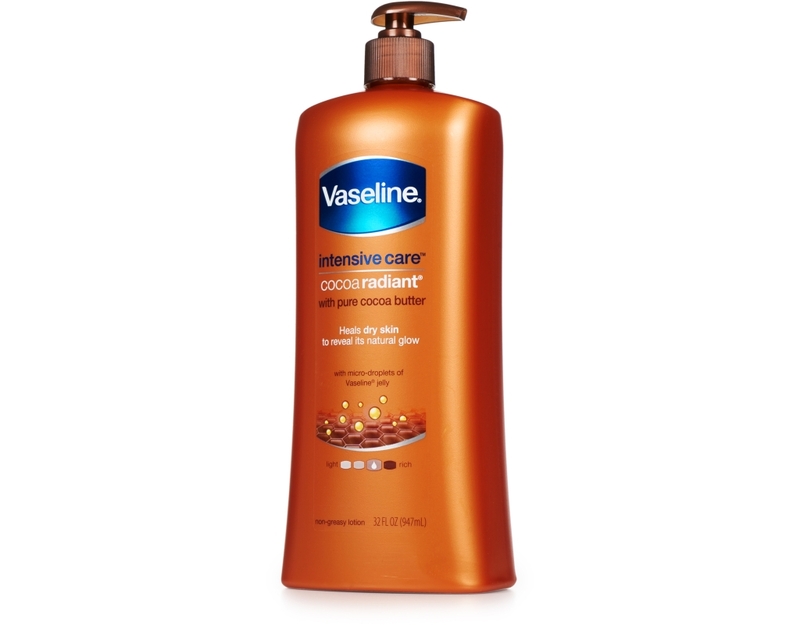 For 140 years, Vaseline has been perfecting a wonder jelly and today there’s micro-droplets of Vaseline Jelly in Intensive Care Lotion which absorbs deeply into your dry skin and moisturizes to heal it from within. Heals dry skin to reveal its natural glow. 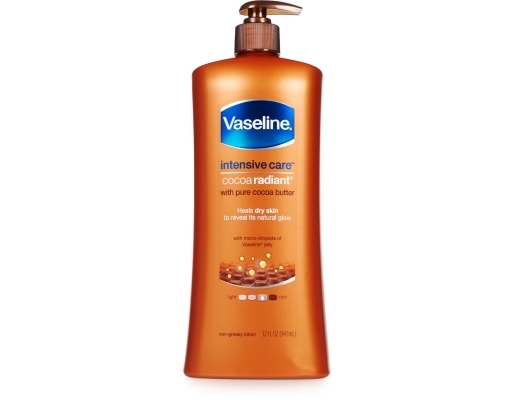 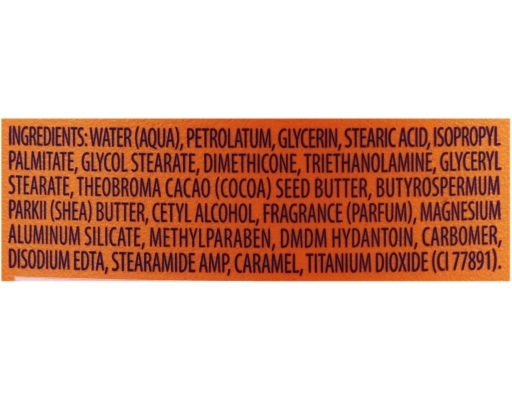 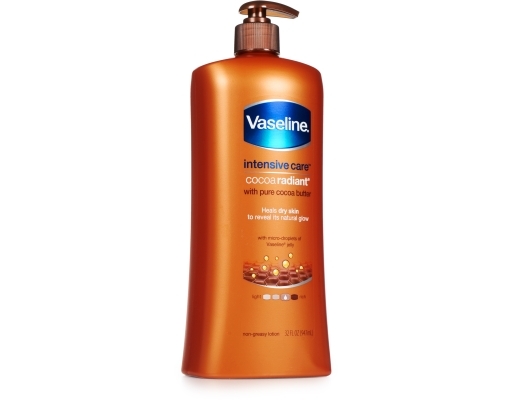 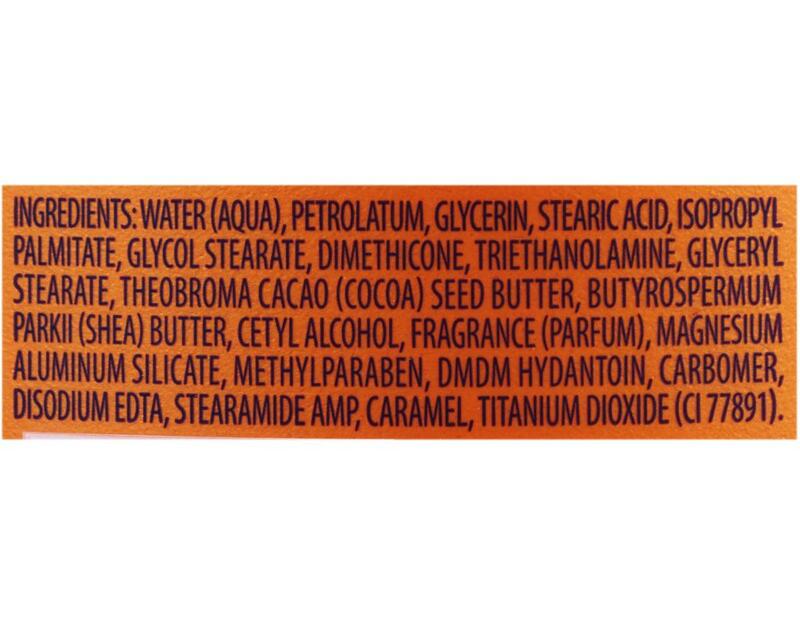 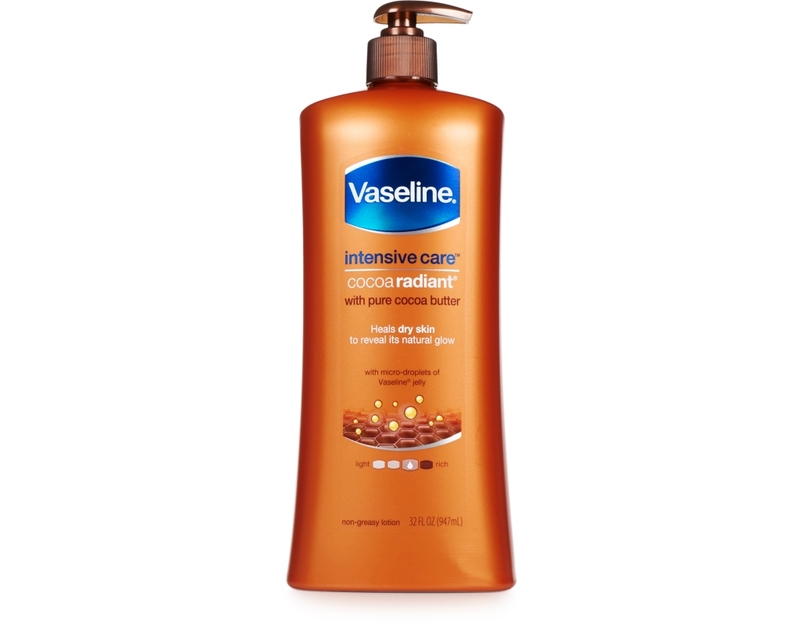 With healing micro-droplets of Vaseline Jelly: In Intensive Care Cocoa Radiant Lotion, Vaseline combined healing micro-droplets of Vaseline Jelly, powerful moisturizers, and pure cocoa butter, in a rich, fast-absorbing formula. 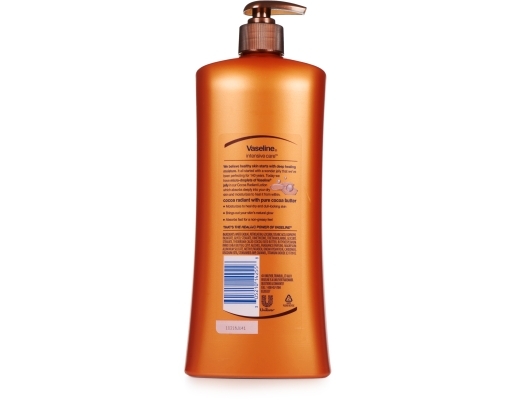 The result is a lotion that moisturizes to help heal dry and dull-looking skin, bringing out its natural glow.